Order in the next 7 hours 14 minutes for delivery on Monday, May 6. Order in the next 7 hours 14 minutes for delivery on Wednesday, April 24. 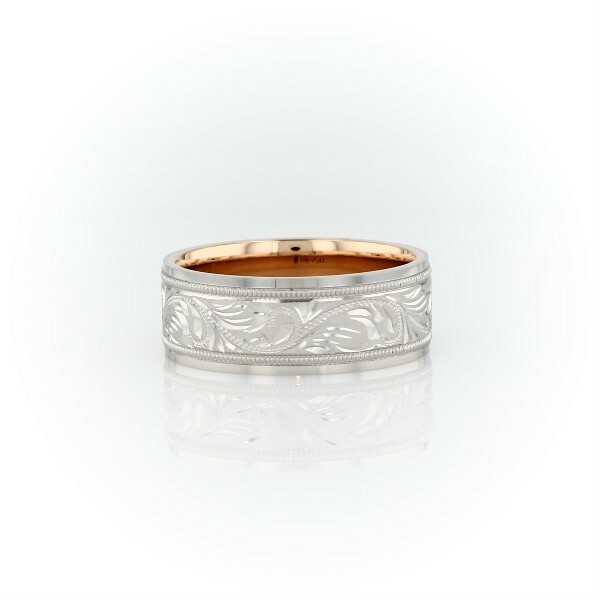 Featuring a detailed paisley-design, this mixed metal wedding band's platinum exterior is softened by a smooth 18k rose gold interior for a look that's nuanced and visually stunning.